On Sunday 19th July a service was held to celebrate the 3rd Birthday of the Mothers’ Union joint branch (Good Shepherd and St Philips). 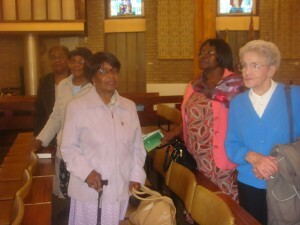 The service was held at the church of the Good Shepherd with St John at 6.30pm. Revd. 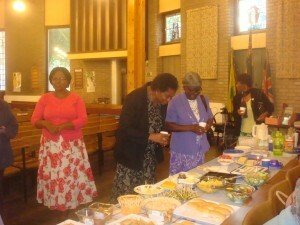 Kennedy Njenga was the celebrant and the preacher was Elizabeth Binsley, our Diocesan President. It was lovely to see representatives from some other branches there to offer support and share in the celebrations. Revd. 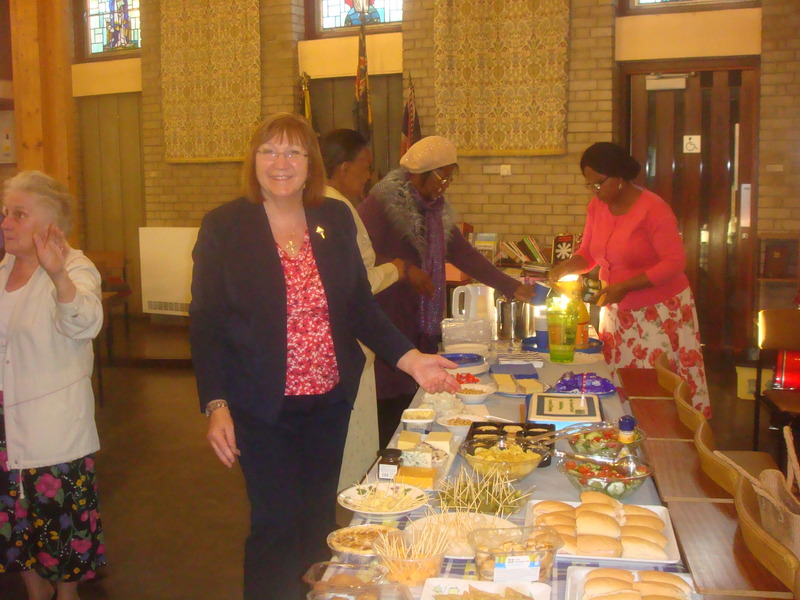 Pam Daniels from St Philips church also assisted during the Communion. Refreshments including a special birthday cake were served afterwards. During the service we were joined by a small immigrant family who are in great need and known to the congregation. No English could be spoken but a warm welcome, love and the sharing of food does not require language! Congratulations West Bromwich on your birthday also for your Christian care for others in need!